Howard's Favorite Quiche - Vegans Eat What? Vegans Eat What? 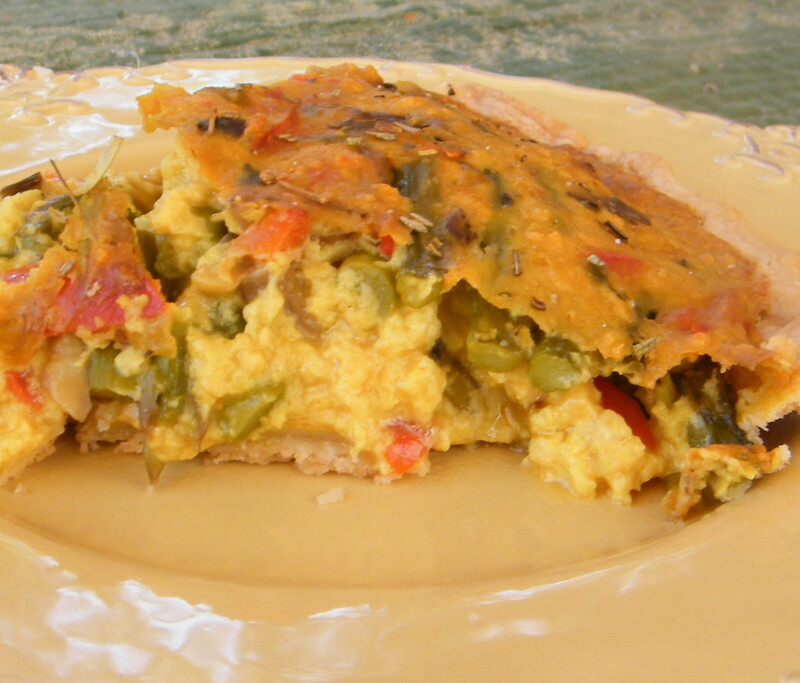 This quiche was served to Howard Lyman when he spoke at the 2011 VegFest Colorado. Howard pronounced it the best quiche he’d eaten and coming from the Mad Cowboy, that is quite a compliment! Preheat the oven to 375 degrees. Pierce the bottom of the crust a half-dozen times. Add olive oil to a sauté pan and turn burner to medium heat. Sauté the bell pepper and green onion until they begin to soften. Add the mushrooms and cook until they just begin to exude their juices, then stir in the asparagus and rosemary. Cook until the asparagus is bright green. Place the remaining ingredients into a food processor. Process until the mixture is completely smooth. Pour this mixture into the pie crust(s). Bake in a 375 degree oven for 50 minutes or until the quiche looks firm and a knife inserted into the middle comes out clean. Remove the quiche from the oven and allow it to sit for about 10 minutes prior to cutting. I always double the recipe and cook two, one to eat and the other to freeze. Serve this quiche with fresh fruit for a great make ahead breakfast or brunch. Howard Lyman is a forth generation cattle rancher and dairy farmer who wrote the eye opening book "Mad Cowboy, Plain Truth From The Cattle Rancher Who Won’t Eat Meat", (Scribner, 1998). If you have the opportunity to hear Howard Lyman speak, do it because he is inspiring!